An island in the North Atlantic, Ireland features coastal mountains in the west and interior agricultural lowlands, with numerous hills, lakes, and bogs. 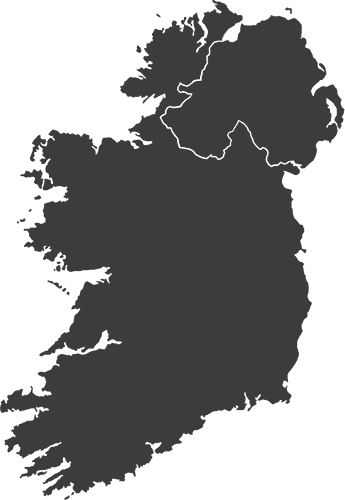 The Republic of Ireland occupies about 83 percent of the island of Ireland - Northern Ireland, in the northeast, is part of the United Kingdom. Irish, or Irish Gaelic (a Celtic language), is the country's first official language and is taught in schools, but few native speakers remain. Éire (AIR-uh) is the Irish name for the Republic of Ireland. English is the second official language and is more common.